Here we are: The 2017-18 Offseason is finally upon us with the completion of the World Series Wednesday night. 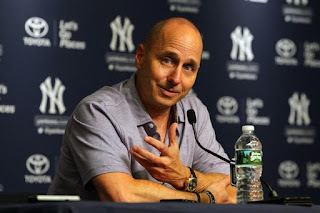 To kick off what should be a wild few months, I wanted to take a deep dive into the Yankees roster and payroll ahead of the many free agency signings and trades Yankees General Manager Brian Cashman will be involved in. Let's get started. The Yankees have a heavy offseason workload ahead of them this Winter as they try to construct a World Series Champion from the ashes of the 2017 roster. In addition to Manager Joe Girardi not returning for the 2018 season, the Yankees have a number of pending free agents as well as a massive question mark in Masahiro Tanaka as he can opt out of the final three years of his contract this offseason and instead become a free agent. Tanaka needs to make a decision by Saturday evening so this will be the first news to break. The Yankees have plenty of youth that shouldn’t be expected to go anywhere for the long term, but changes will still be made, and it will be up to Brian Cashman to put together the puzzle pieces required to put this squad, one that fell just a game short of the World Series in 2017, over the top. New York’s roster should have some semblance of its 2017 self, but expect a number of changes going into next season, both in the coaching staff as well as the active 25-man roster. 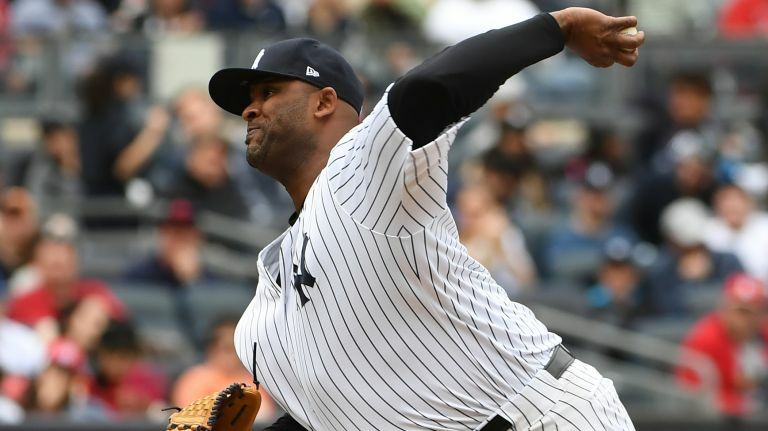 The Yankees will head into 2018 missing a few key members of the 2017 squad, most notably CC Sabathia and Todd Frazier, although both have expressed interest in re-signing. With Todd Frazier likely seeking a multi-year contract, I would put his chances at returning as pretty slim, but CC Sabathia has stated that there’s nowhere else he wants to pitch. If he and the Yankees can agree on a one-year pact around $10-13 million, it would be a good deal for both sides. With Michael Pineda likely out the entire season recovering from Tommy John Surgery, Matt Holliday near the end of his career and Jaime Garcia boxed out of the rotation due to better options, expect all three to be in a different uniform in 2018 and beyond. Both Hal Steinbrenner and Brian Cashman have stated a commitment to getting New York’s payroll below the $197 million luxury tax threshold for 2018, which would allow the Yankees to reset their standing with regards to luxury tax payments, and open up the checkbooks again for the historically deep free agency class of 2018-19. To expand upon that, should New York get it’s payroll under $197 million in 2018, they would pay a lower dollar-for-dollar penalty in 2019 and beyond should they again exceed the luxury tax threshold. The Yankees currently pay 50% on the dollar in excess of the luxury tax ($195 million for 2017). Should they get under $197 million this season, that penalty would be reduced to just 20% on the dollar. With that being said, let’s take a look at the players New York currently has under contract for 2018, those who will be filing for salary arbitration, and those under team control on rookie-level deal. Heading into the 2018 season, only six Yankees are signed to guaranteed contracts, seven if Masahiro Tanaka opts-in to the final three years of his deal. At the start of Free Agency, the Yankees will open up with only $78,642,857 committed to the six players under contract for 2018. If we factor in a modest 25% raise for all arbitration eligible players, that number sits at $100,152,138. 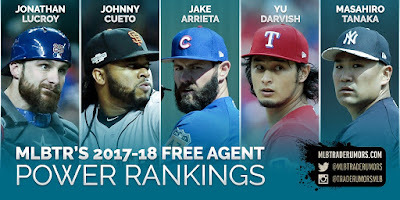 Add in an approximate league minimum of $600,000 for all 15 “Team Control” players plus the two retained salaries of Brian McCann and Ji-Man Choi and we’re a hair over $115 million in guaranteed salaries for 29 players, all of whom will obviously not open the season on the active roster. Again assuming that Steinbrenner and Cashman are committed to keeping the 2018 payroll below the luxury tax threshold of $197 million, this gives the Yankees just north of $80 million in spending flexibility for this offseason. 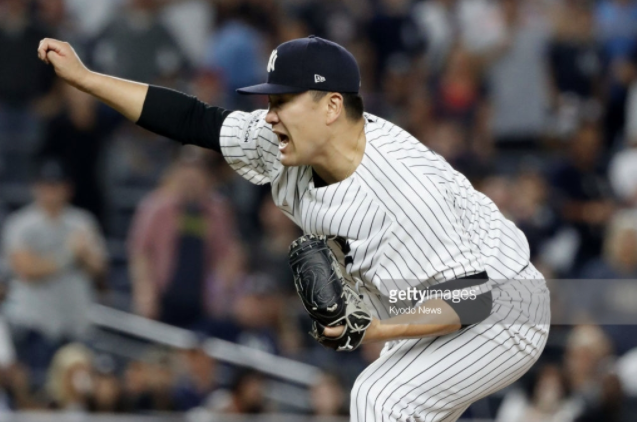 That number is immediately reduced to $58 million if Masahiro Tanaka opts-in and closer to $45 million if the Yankees re-sign CC Sabathia to a one year deal, but even still, New York will have a decent chunk of spending money to help patch some holes in its roster and bolster the squad heading into next season. As an alternative to signing high-priced free agents this Winter, it should be noted that Brian Cashman might instead rely mostly on the depth of the current farm system to fill needs and instead spend some of the available budget on locking up key pieces already on hand for the long term before they hit free agency. 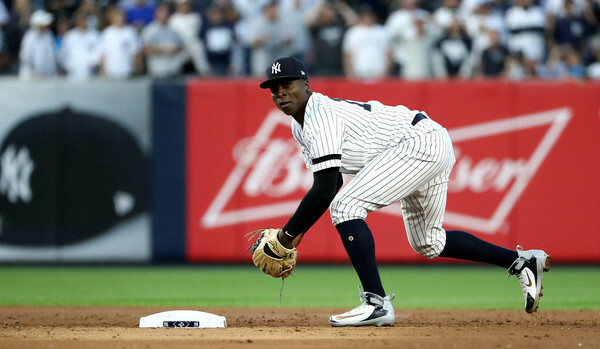 The most obvious candidate for an extension would have to be Didi Gregorius. After earning a modest $5.1 million in 2017, Didi Gregorius should expect a raise that would put his 2018 salary in the neighborhood of $7-9 million with a possibility to get that up to as much as $15 million by his final year of arbitration before he hits the open market in 2020. Gregorius has already established himself as a cornerstone piece of the franchise alongside Aaron Judge and Gary Sanchez and should be a candidate for a long-term contract at a more team-friendly rate than he would likely earn as a free agent. Even with the rise of Gleyber Torres, I still believe the Yankees see Gregorius as their shortstop of the future, potentially even for the next decade, so it would be worthwhile for the franchise to explore a long-term deal with Didi, perhaps in the six-year, $80 million range. A deal of this type would buy out his final two years of arbitration (earning him a more significant raise this year) and lock him up for the years the Yankees are expected to be perennial World Series threats. 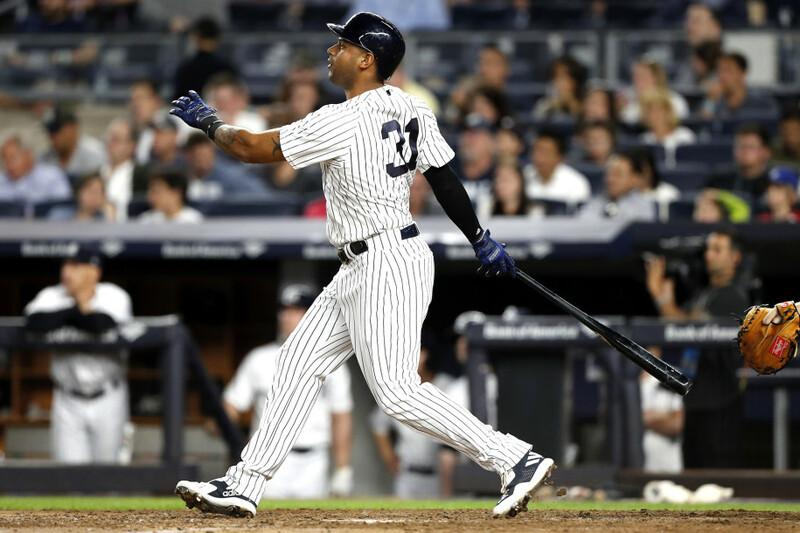 Another current Yankee who could garner an extension this offseason is Aaron Hicks. Like Gregorius, Hicks is not scheduled for free agency until 2020, but should New York view him as a long-term piece in their outfield, then it would be worth locking him up at a discounted rate for the long term this Winter. 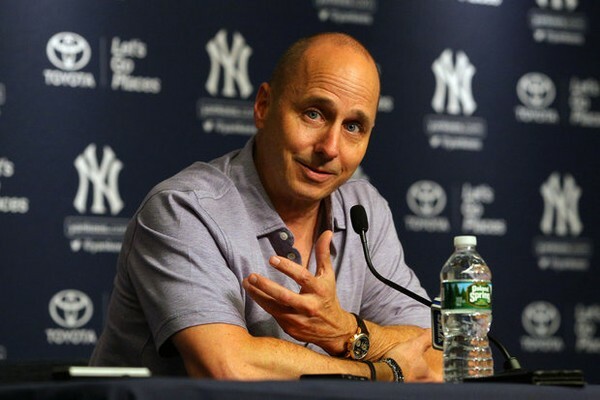 The premise of this sort of deal is obviously contingent on the Yankees finding a way out of the Jacoby Ellsbury contract, as well as the potential that Brett Gardner is not retained after his deal expires at the end of this upcoming season. For both Hicks and Gregorius, however, this would be a dramatic shift in process for the Yankees who rarely negotiate contracts with existing players in the offseason, and almost never during the year. While I don’t see either option, or such a deal with another player, as likely, it is something to keep in mind should the Yankees not max out their spending on players available on the market this Winter. Later this week we’ll be breaking down the key free agent targets at each position the Yankees might pursue, so I won’t get much into that here. Some of the top names available are Yu Darvish, Jake Arrieta, Mike Moustakas, Wade Davis, Jay Bruce, J.D. Martinez and Eric Hosmer. While I don’t see the Yankees as big players for many of these due to the logjam at the middle infield position and a well accounted for rotation (assuming CC Sabathia and/or Masahiro Tanaka return), the Yankees might just be most intrigued by a player like J.D. Martinez who would seamlessly fill their DH role next year and potentially put up prolific numbers in Yankee Stadium. Assuming the price is right, and other holes are filled at a reasonable cost, the budget certainly allows for a game-changing player of this caliber. Keep it pinned to the BBB this week for more on free agent targets, as well as throughout the offseason as we bring you the latest rumors and rumblings in addition to all the important breaking news you need to hear.